Beyond Sol is a delightful real time strategy game, set in space. The story setting is a little bit of light fluff where we find humanity has advanced to the outer reaches of space using new technology to create gates. This resulted in people exploring the frontier, fighting for territory and trade routes, along with all manner of space pirates and factions. It’s mildly reminiscent of Firefly, with your first ship even loosely resembling Serenity. Because of the lightweight story, you can dive right into a game of Beyond Sol, and literally loose track of time as the hours go by, because there is so much to do. You randomly generate your world, choose how many opponents you want to play against and away you go. The solar system you create is divided up into hexes, and at first you must collect resources to build your first city. In a way the game is very similar to table top games like Settlers of Catan or Twilight Imperium mixed together. 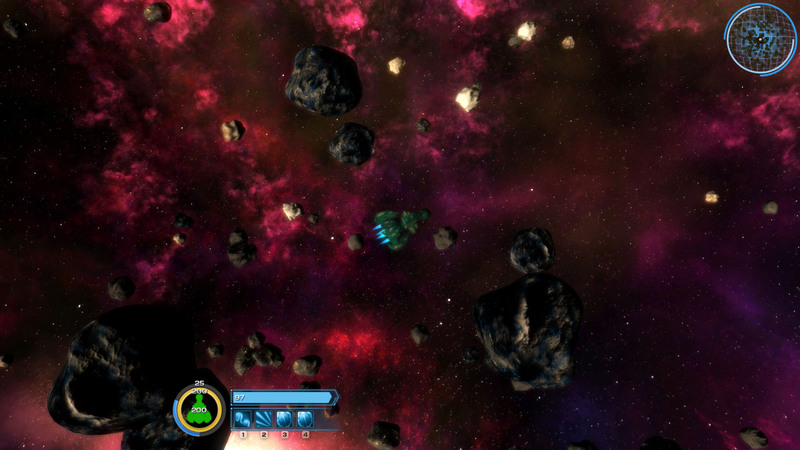 While there are elements of traditional RTS, and it is quite similar to other games, Beyond Sol differs, rather than making you the cursor or the ‘hand of god’, you are directly involved in the action, controlling your ship, actively traversing the solar system, collecting resources and fighting space battles. You have shields, weapons, scavenging drones, and a myriad of upgrades available as time goes on. The default controls are a little awkward, but they can be fully mapped to your own preferences. At early stages, before you create a fleet or any upgrades, you may find that even with fewer main enemies, there are a lot of pirate outposts and they tend to attack in groups. 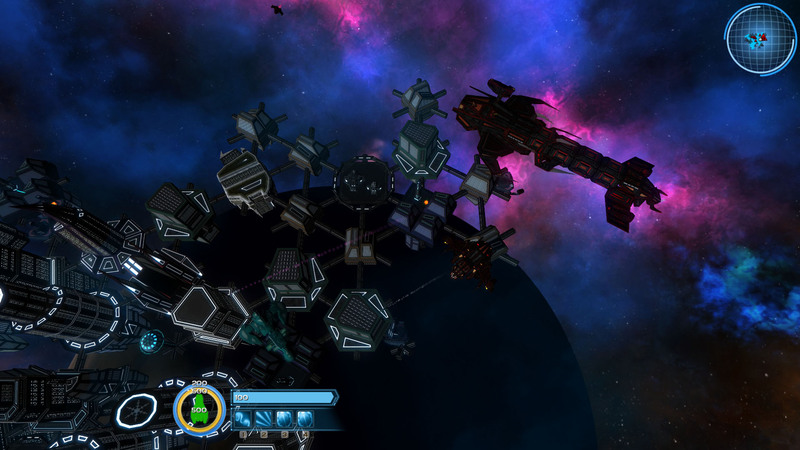 It can get a little annoying if you are not used to the space combat, but once you have the hang of it, they can be a good source of materials needed to expand your city. You have the option to build outposts, build cities, build a military might using your fleet, or grow your economy. Once your city is established, you need to collect resources and build structures that generate power and support your population. You can use diplomacy to influence the other players, offering gifts or declaring war, as they are always expanding their own territory, which can lead to difficulties if border tensions rise. The game will keep you up to date on all this information, along with alerts when high priority targets are in the area or you receive a distress signal from a ship under attack, which is often rewarding to assist. Commerce in the game is quite simple, you collect your resources, buy low, sell high. There are shortages and floods of materials from time to time, the game will keep you up to date on all of this. The games graphics are easy on the eyes but nothing spectacular. Great use of particle effects when you enter a dust cloud or a nebula, and there is enough to look at to keep you interested and in a way, engage the imagination. The music and sound effects just help to keep time. There are multiplayer options, admittedly we did not get a chance to fully explore them prior to launch, but it does allow for some interesting gameplay, again coming back to playing traditional games like Settlers, with friends. What you’re getting with Beyond Sol is a lightweight game, that is fun to play, imaginative and engaging, yet at the same time, you decide to play for a few minutes, suddenly you control half the solar system, you realise that those few minutes have turned into five hours. Beyond Sol is definitely recommended, personally I wish I had more time to play it. Beyond Sol is available now for Windows PC on Steam.